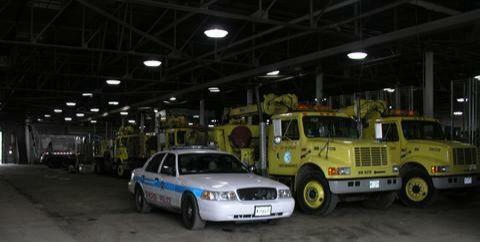 Today the Chicago Police visited a North District Water Department job site to calm things down. Some alleged rough talking was exchanged between two Chicago Employees. Just a day after a big meeting to explain what needs to be done to report work place verbal fights. After meeting with different departments, I came to a conclusion, you can say anything you wish, until you say it to someone with clout. I asked various officials what can be said, I gave samples, even rude insulting ones, and the response was, “Establish a pattern”. So if you have clout keep acting the same because no pattern will be established, or if you do not have clout, “Shut up and take the abuse”. Nothing ever changes in the North District. When is the Shakman Decree going to be enforced? Photo by Patrick McDonough.